Battle Gem Ponies is officially a topical thing for bronies! Sorry about posting a devlog almost a day late. Still playing catch-up on the internet after having what was possibly the greatest weekend of my life so far. There is SO much BronyCon stuff to talk about, you'll have to catch some details of my first convention adventure after the page break. The panel went better than I had hoped. I had a great weekend with new friends that I'll miss for the rest of the year. 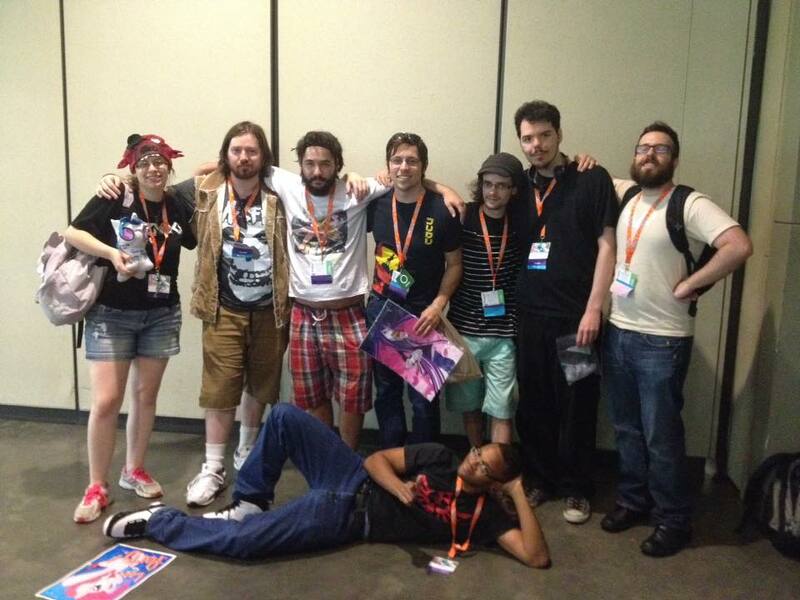 BronyCon was the best weekend of my life pretty much. The rest of the year will basically be buildup to the next one. People really love what I'm making and how I'm doing it. No video yet, but people LOVED the Battle Gem Ponies panel. Even the con staff was impressed with how professional the presentation and game were from such a small/unknown team. A game mostly done by one guy, and that one guy has answers to everything. What people seemed to like most was the focus on gameplay. Where other games put emphasis on story, cutscenes, and lore, my presentation was all about gameplay and what the final product is supposed to be. I was insanely nervous throughout the presentation (I even spilled water twice with my shaky hands before starting) but it got easier over time. When it was all over and person after person kept coming up to me to tell me how awesome the panel was, all my nerves vanished and I felt incredible. Now that BronyCon just happened, a sales spike should be appearing within the month of August if at all. Even if it doesn't, I know I made a huge leap in reputation just by attending. Features don't get any bigger than a BronyCon panel. Wish I had a recording of the whole thing to show you, but it won't be posted for a long while if past years are the pattern to go by. 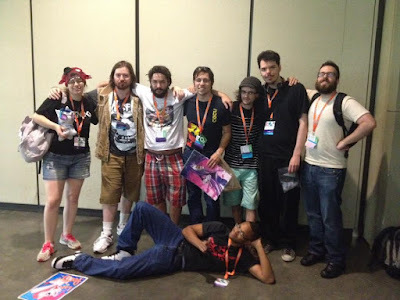 I got to hang out with my favorite content creators at the con.Too many to name really. Basically every special guest aside from the MLP show staff (minus one writer). I enjoyed raving for 7 hours straight 2 nights in a row, swimming with new friends and the musicians responsible for most of what's on my iPod, and just hanging out with amazing human beings I sadly won't see again for another year. No cons are planned for me aside from the next BronyCon. I may go on a school club trip to MAGfest if the club's fundraiser goes through though. 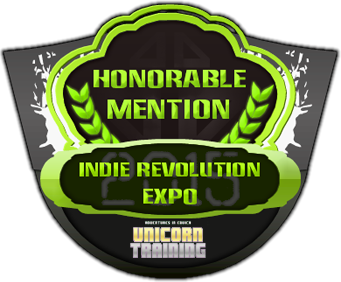 Expect a retrospective post about what this convention did for me as an indie developer this Friday as I get ready to head back to school. 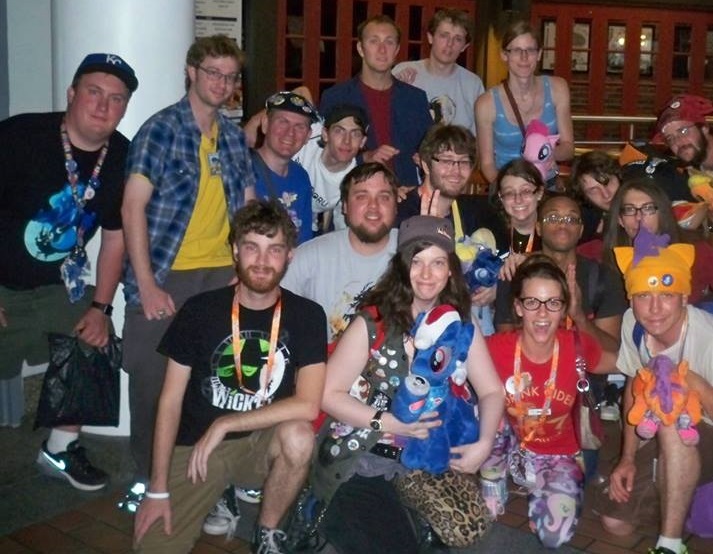 BronyCon was amazing. For everyone reading this, thank you, so very much, for caring about just one guy trying to make cool games about ponies.